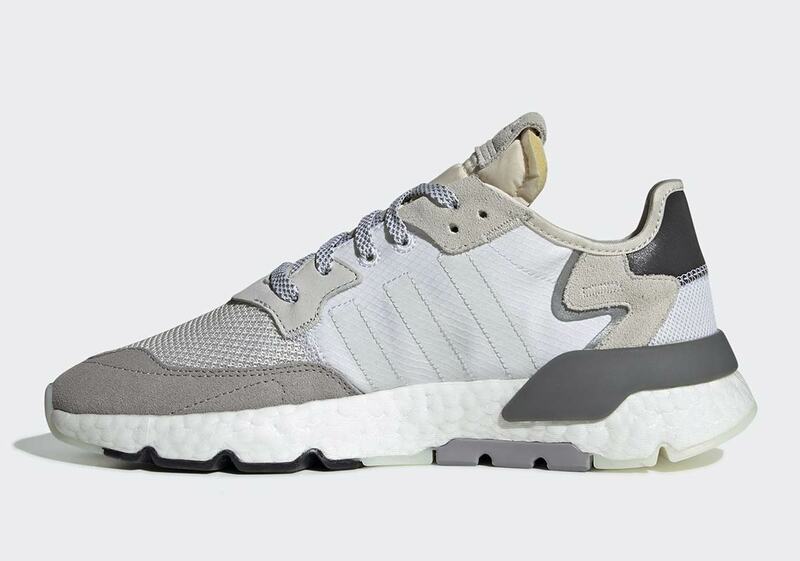 The adidas Nite Jogger is finally here. After launching to plenty of fanfare early this year, the updated 70’s running silhouette is ready to release in several new colorways beginning next month. First released in 1979, the Nite Jogger was built for visibility. Not the same sort of high-tech, high-fashion 3M visibility we think of now, but more along the lines of vibrant, eye-grabbing colors to help runners be spotted during low-light hours. The 2019 Nite Jogger stays true to the bright running origins, albeit with a much more modern look. The new silhouette appears to feature a one-piece mesh upper, supported by a stiff TPU lacing system and elastic bands around the heel. A plastic midsole clip rests around the heel of the shoe, and a full-length Boost midsole is added for maximum comfort. This week, the Nite Jogger has surfaced in only its second official standard release colorway, giving us another great look at the new silhouette. 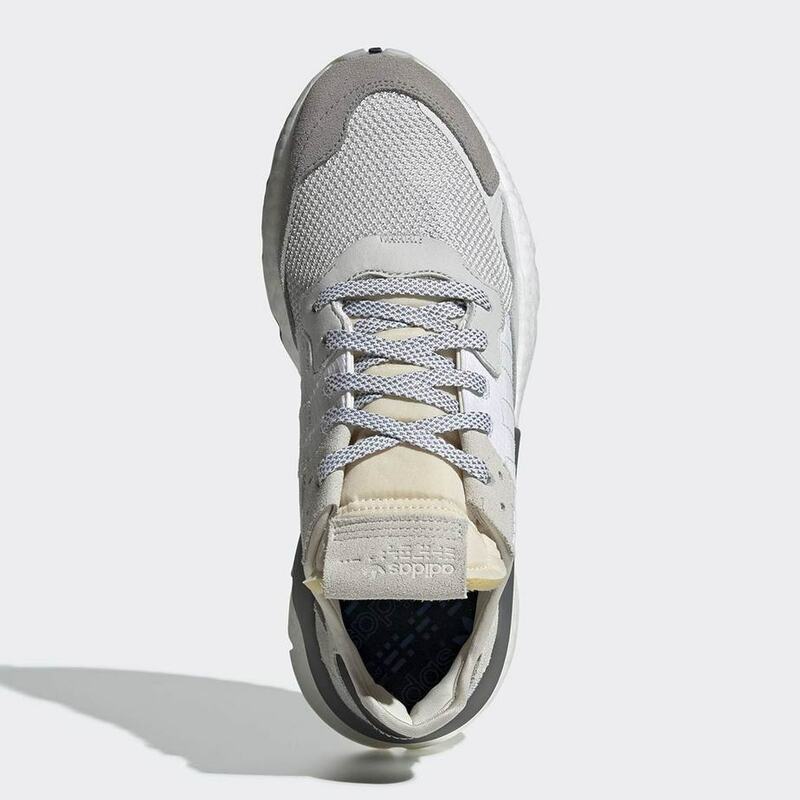 The next color scheme begins with a white base for the mesh upper, with varying shades of grey taking over the different suede and nubuck overlays. 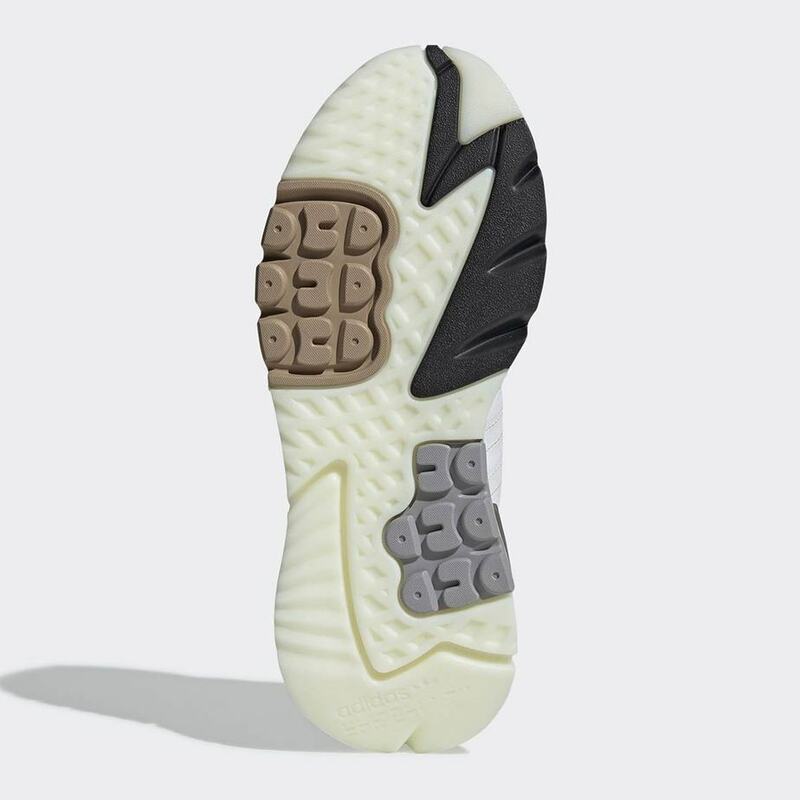 The exposed foam tongue comes in cream white, while a slightly minty tone tints the famous Three Stripe branding. 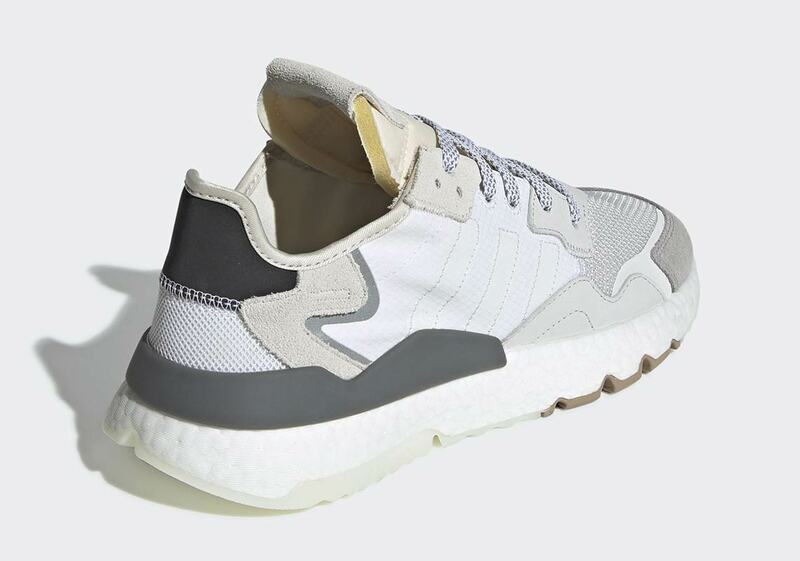 The updated adidas Nite Jogger is finally expected to release in new colorways on January 12th, 2019. The retail price tag is set at $140 for the new Crystal White colorway and is likely to be available from adidas and select retailers. Check out the early on-foot images from below, and stay tuned to JustFreshKicks for more adidas release news. 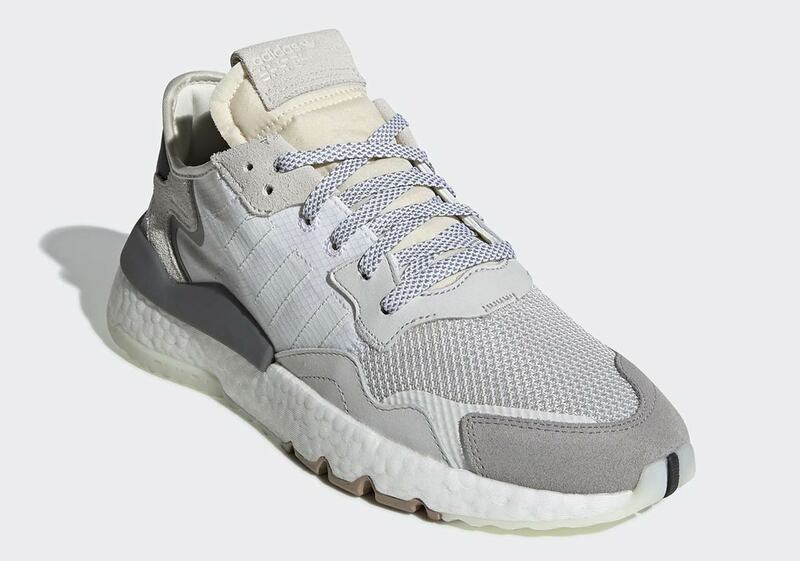 The post The adidas Nite Jogger 2019 Launches in Crystal White in February appeared first on JustFreshKicks.